When buying either a new or used fork lift, the secret to a good return on your investment is a quality preventative maintenance program. While sourcing a forklift maintenance program for your fork lift in Orange County or Los Angeles County, there are seven factors that should be included in any program you select. Keep in mind that a preventive maintenance program is not meant to eliminate the need for maintenance. Instead it should reduce the amount of lost productive time due to a malfunctioning lift truck. First of all, any good maintenance program should be completed on a regular schedule. Depending on how actively you use your forklift, maintenance should be done on a set schedule. So any provider you choose to go with should be able to keep track of your maintenance schedule and inform you when it needs to be performed next. Most forklift manufacturers require their products have a preventive maintenance process completed every 150 - 200 hours of operation. Next, you should look for a service provider that is capable of maintaining a history of your forklift maintenance performed, as well as repairs completed. This is critical for a many reasons. It allows you to understand how much you are spending on this process as well as to identify recurring issues. It will also allow your provider to customize your maintenance program to fit your use and operation. So if you have a dirty operation, the provider will know to always come prepared with new filters because the old ones are probably going to be dirty. Any reasonable preventative maintenance program should have a comprehensive and thorough inspection and function testing checklist. This is the list of specific items that the technician will inspect and perform on your equipment to make sure it is in the best running condition possible. You should ask to review this checkout sheet when interviewing a service provider and see if it covers the items specific to your equipment and operating environment. Once you and your provider have agreed the checklist is right for your equipment, the service provider should provide a completed copy of the checklist each time your preventive maintenance program is completed. One of the most simple but probably least understood processes in a preventative maintenance program is the cleaning of your lift truck. The number one cause of forklift downtime is dirt and debris. A preventive maintenance program is only as good as the cleaning your fork lift receives. Make sure that your provider is taking the time to clean your lift thoroughly including, but not limited to, blowing out the radiator with compressed air, wiping down the hydraulic cylinders, and replacing dirty filters with clean ones. Upon completing a thorough cleaning of your forklift, your service provider should lubricate you forklift in accordance with the manufacturers instructions. This should be done with quality lubricants and in adequate amounts to assure those parts that move will move with ease and reduce wear. 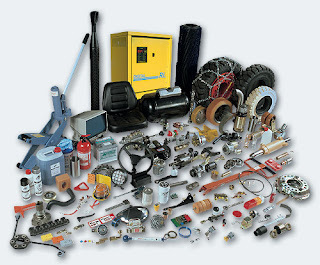 Use only quality replacement parts on your lift truck. They should meet all of the forklift manufacturer’s specifications. 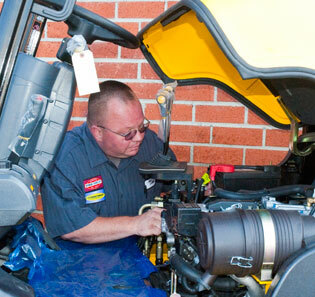 Finally, a good preventive maintenance program for your forklift should be at a fair price. Typically, to do this job properly, a mechanic should need one to one and a half hours to get everything done correctly. So the cost should be reflective on the time spent. If you are looking for a good preventive maintenance program in Los Angeles County or Orange County give us a call at Hyundai Forklift of Southern California at 800-660-5241 or email us.